On any given day, your brain is tasked with remembering a whole list of things. Following up on emails, paying bills, picking up groceries – there’s a lot going on. It can be challenging to remember what you ate and whether it’s in line with your nutrition goals on top of it all. Healthy eating takes a lot of work. To keep track of eating patterns such as when and what you ate, protein / carb / sugar content, and any number of other variables, a journal or food log can make your life a little easier. While it may take a few days to get into the habit of jotting down info every time food meets mouth, the onboarding process will be worth it as you notice your eating habits becoming more apparent to you. The insight is useful and you’ll be able to see if you’re hitting your targets / staying within limits. Bonus tip: Take a picture of your food if you don’t want to write it down. 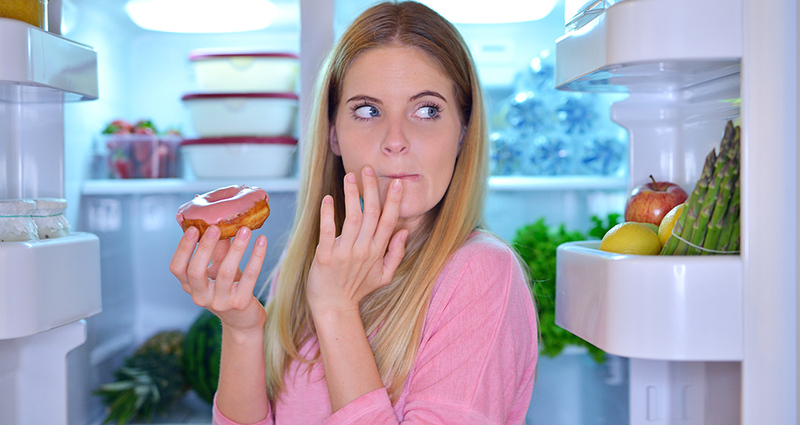 Food tracking makes you more conscious of your choices and helps stop automatic eating. Ketogenic, vegan, low-carb, pescatarian, gluten-free, low-carb – diet choices today are plentiful. So how do you choose wisely, separating fad diets from healthy ones that will work for your body? One route you can take is to individually research and dabble in each diet until you find the right one. The risk? Unforeseen side effects might pop up along the way. Restricting certain foods means you could end up lacking certain nutrients, vitamins, or minerals. It may even stir up some digestive issues. A dietician or nutritionist, on the other hand, will be able to guide you in the right direction so you can maximize your weight loss (or other goals) while also keeping your health in check. 3. Take it Slow… Real Slow! Change doesn’t happen overnight. Whether your goal is to drink more water, load up on greens, or cut back on sodium, it will take time. Be compassionate and allow yourself a little wiggle room when getting to the finish line. For example, if you have a soda addiction, try to cut back on one soda a week, and celebrate your achievement when you do! While it’s great to have a big, overarching goal lead the way, smaller goals are often more manageable. They allow for step-by-step, daily actions that gradually allow you to get to the finish line. Just like that, the first month on your new diet is done. Now that healthy eating is in the works, you’re in the market for a clean supplement to enhance your diet even further. VegEssential™ from Progressive Nutritional is an all-in-one, plant-based formula that provides unmatched nutritional density. It contains a blend of 23 vegetables and green food concentrates and over 100% of the RDA of 13 vitamins & minerals (Vitamins A, E and C, Thiamin, Riboflavin, Niacin, B6, Folate, B12, Pantothenic Acid, Biotin, Chromium and Manganese). VegEssential™ embraces the wisdom of consuming an alkaline-forming, whole-food diet and draws on almost 100 plant-based ingredients to deliver an incredible spectrum of both micro and macro nutrients. It combines the benefit of an entire cupboard full of supplements with the ease of consuming a single smoothie. It’s also dairy, trans fat and cholesterol free with no added sugars, artificial flavours, colours or sweeteners. On that note, it’s safe to say that an All-In-One is an excellent supplement to any diet. 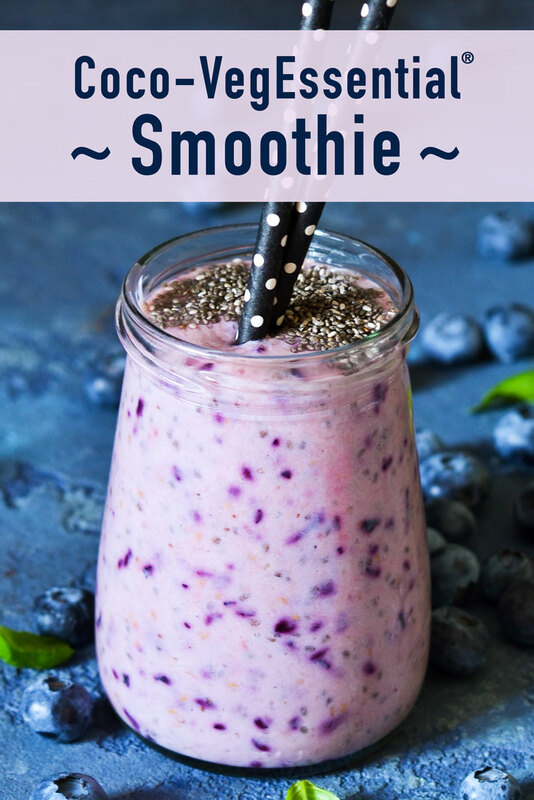 Combine frozen blueberries, coconut milk, hemp seeds, PhytoBerry® and VegEssential™ in blender. Blend for 15-20 seconds. Pour into a glass and enjoy!